Just back from a lovely 4 weeks in New Zealand. It’s always different visiting a city you grew up in than any other place. You tend to do very different things to the regular tourist attractions. At the same time, looking back I could imagine even a first time visitor to Auckland would appreciate some of these inside tips of things to do so here you have it – my current 10 favourite things to do when visiting Auckland! Taking anywhere from 30 to 60 minutes to walk, the coastal pathway from Milford Beach to the boat ramp at Takapuna is well worth the experience. As a child it was my favourite walk because of the many rock pools and the kings chair. The kings chair, built of local volcanic rock was commissioned in 1926 by the Scotsman Captain John Algie as part of the castle he also had built – a great sight as it’s so unusual to ever see a real castle in NZ. If you do the coastal walk from Milford to Takapuna – then carry on along Takapuna beach until you reach the Regatta Cafe nestled up on the banks. Our favourite place to sit outside, sip a glass of wine whilst picking at their platters. 3. Waiheke Island Lunch or Wine Tours. Only a 30 minute boat journey from Auckland, Waiheke Island boasts some of Auckland’s most prestigious wineries. Whilst there are several more expensive wine tasting trips available a lovely cheap and cheerful way to explore the island is via the hop-on hop-off bus that stops at or nearby a number of wineries. Alternatively simply go to Waiheke for lunch. 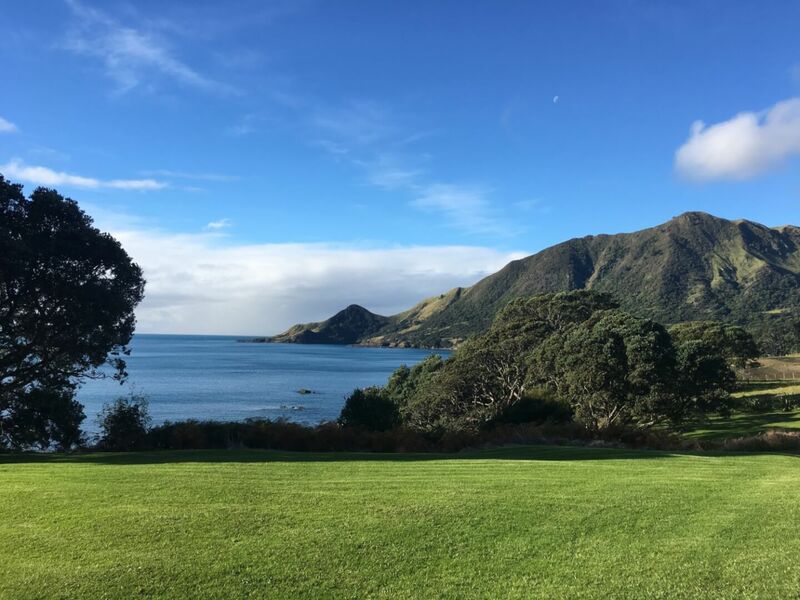 Our favourite place is the Te Whau restaurant and winery – it has the most spectacular views from the dining room. So funny, i’ve been down this road so many times and yet couldn’t find a single photo which really showed the street. It’s a long road and somewhat quirky but one of the hippest shopping streets in Auckland. This is where you will find the most local designers and great gifts for taking home. Plenty of cafes and restaurants to stop at should you get hungry on the way. We love Prego – a bustling, casual Italian restaurant – fabulous for meeting friends and a great bite to eat. A walk along Auckland’s waterfront is always interesting – especially if there’s a huge cruise ship in the harbour – these are often bigger than some of the buildings around! Start at the Harbour building and then carry on to your right as you’re facing into the harbour. Eventually across the road you will see Britomart. Nestled amongst some of Auckland’s oldest buildings and newest architecture. Britomart is great for a little shopping and has several lovely places to eat. Bistro Ortoiana – we always go there for the macaroons – almost as good as Ladurée. Of course there are several beaches around Auckland but one of my favourites is Piha. 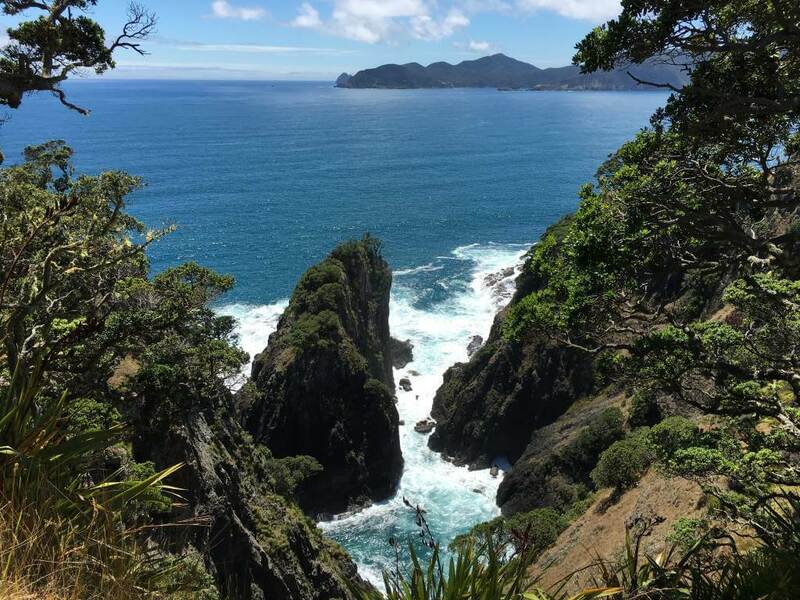 Situated along the west coast, 40kms from central Auckland City, famous for it’s surf and huge stretches of black sand for running or walking along. Whatever you do take some sort of footwear with you as otherwise you’ll seriously burn your feet there on a hot summers day. Here are some great day tours you can do visiting Piha, alternatively hire a car but you might like to pack your own lunch..
We tend to rent our bikes close to Britomart at Adventure Capital. Just go there and they will advise you about a great route to take, map and all. The waterfront (approx 10km mainly flat stretch) is lovely for starters. Of course I could keep on writing things to do in Auckland forever but have to save some tips for next visit – smile. Alternatively if you are planning a trip to New Zealand feel free to contact me on yvonne@funkyforty.com for any tips or check out Trip Adviser for great independent reviews and tips. How high did you jump in the ‘jumping on the beach’ photo?!!! Thanks for your tips. If you need a hassle free NZ trip, visit New Zealand Vacations to learn more.